Recently, in the middle of the capital city – Amman – several sleek 5-star hotel towers grew towards the sky, including the trendy “W” and Rotana. Dressed to kill women from the Gulf, wearing high heels and suggestive make up, are now sipping cappuccinos in various cafes at the posh new pedestrian area called The Boulevard. Saudi men can be seen downing pints of beer and carafes of wine. It is a scene not unlike that commonly observed in Bahrain. The Gulf now comes to Amman to escape strict regulations, to play, to be careless, to enjoy life. Some people travel here for medical treatment, staying in overpriced private hospitals which resemble 4-star hotels more than medical facilities. 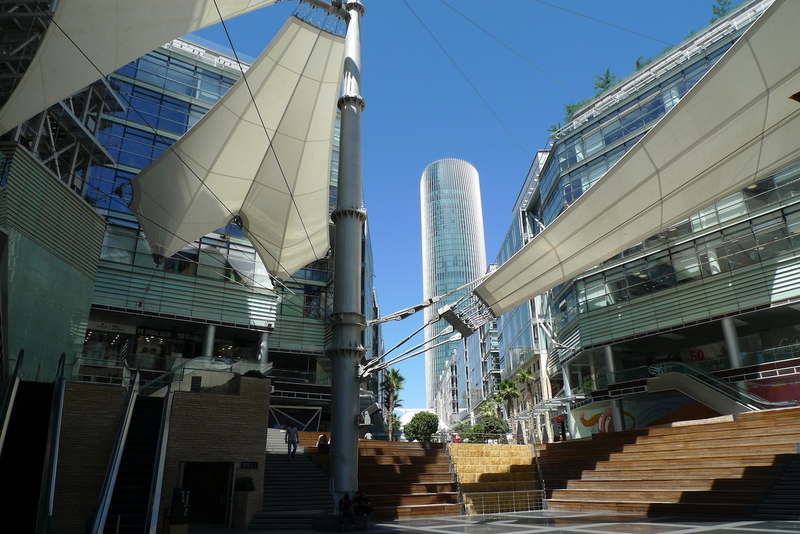 But predominately, here in Amman, it is all about fashion, about food and drinks, about showing off and being seen – the entire area doesn’t have one single decent bookstore (there is only a tiny kiosk at the entrance to the Abdali Mall), art cinema or a concert hall. Unlike Beirut, with its vibrant international art scene and thirst for knowledge, Amman’s affluent residents and visitors are obsessed with consumerism. With half-closed eyes, The Boulevard could be located in some smaller city of Texas or Georgia. 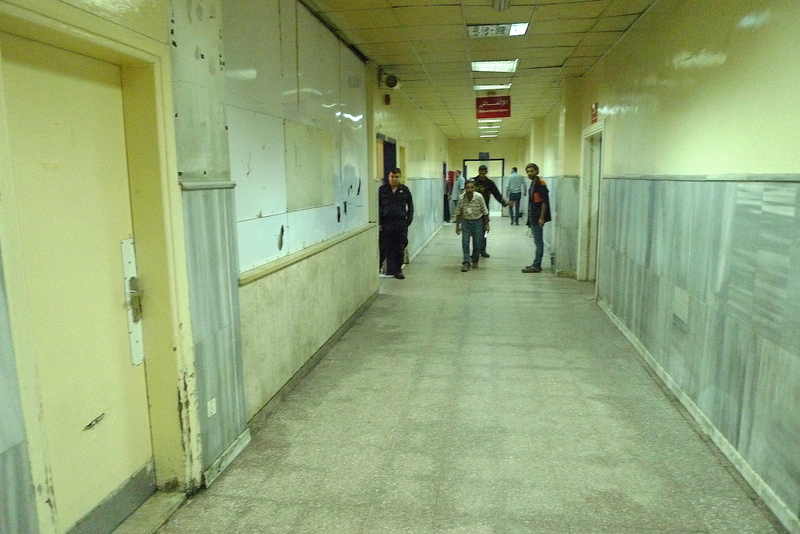 “Quality of public medical services in this country is appalling,” I am told by one of the patients. Soon after, a plain-clothed cop begins interrogating me. “Do I have a permit to ask questions at the hospital?” I don’t. After I leave, two police officers try to intercept me. Pretending that I don’t understand, I smile like an idiot and they let me go. In Jordan, people are afraid to talk. To be precise, they do talk inside their homes and cars, or in the backrooms of their offices, but not in public. They hardly ever give their full names. In 2018, Jordan ‘exploded’ on various occasions. In February, riots broke in the city of Al-Salt, over the proposed 60% price hike of bread, but also over the increase of electricity and fuel prices as well as the cutting of subsidies for basic goods and services. The infamous and brutal IMF structural adjustment had been gradually implemented in Jordan, which was suffering from a stagnating economy and bizarre misappropriation of funds. In 2017, Jordan’s recorded government debt stood at $32 billion, equivalent to 95.6% of the country’s GDP. 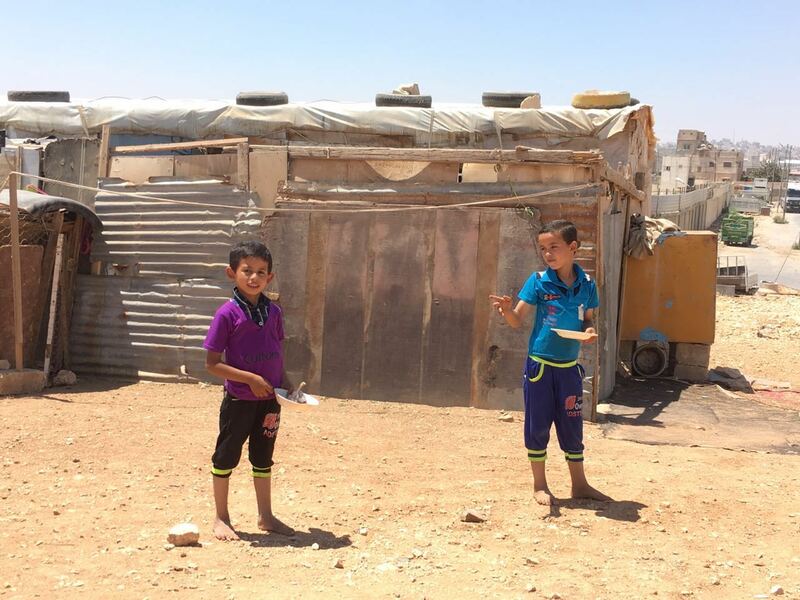 In June, massive protests shook the capital, Amman. Protesters were demanding the change of the government. They were outraged by planned tax hikes and the rapidly declining standard of living. They also called for the end of endemic corruption among government officials. Scores of people were arrested. In July, the government resigned, and King Abdullah asked Omar al-Razzaz, a former World Bank economist, to form a new government. People dispersed. They were told that they had won, but almost nothing changed. “We don’t trust the government: new or old. They are all the same bullshitters. 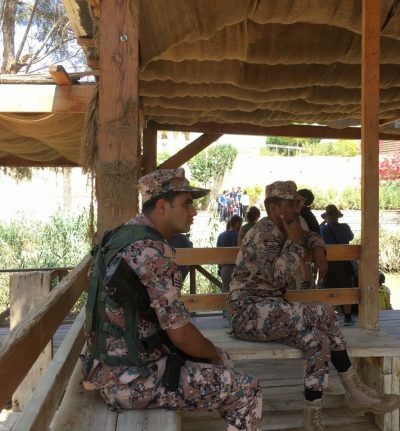 A day earlier, I had heard precisely the same lament from an upper-class Jordanian lady whom I met on the bank of the Jordan River, while visiting the Bethany Beyond Jordan Site (great opportunity to photograph fortified border with Israeli occupied Palestine (OPT). “Jordanian people had enough; this time they were ready to overthrow the regime in Amman. The elites knew it. They organized riots, made them look real but relatively orderly, then changed a few political players at the top, while saving the system. People felt that they won, but in fact, nothing changed, whatsoever”. Jordan is a staunch ally of the West. Its ‘Elites’ are unconditionally pro-US. The country has been, for decades, betting on collaboration with NATO. It hosts several deadly military and air force bases of various Wester countries, the most lethal being Al-Azraq, where part of the war planes that were previously situated at the Turkish airbase Incerlik, have recently been re-located. British and US Special Forces have been, for years, invading the Syrian state, from Jordanian territory. Functioning as a service station of the West, has been securing the main income of the country and to its ‘elites’, but not necessarily to its people. Very little or nothing has been invested into science, research or production. It is all about the military bases, malls for the expats, medical tourism for the rich Gulf citizens, few maquiladoras, and of course the main privately own component of the local economy – tourism (some 14% of the GDP and growing). 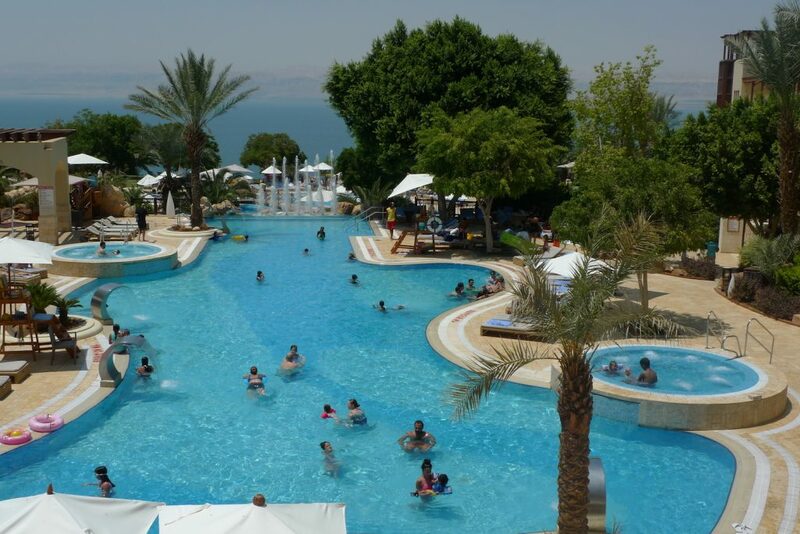 Tourism primarily benefits the big Western hotel chains and is consistently ruining the fragile ecosystem of the Dead Sea and lately, the Gulf of Aqaba. At the same time, the Al-Azraq air force base is destroying and draining the precious water reserves of the desert oases. Official unemployment in Jordan now stands around 18% but is in reality much higher. 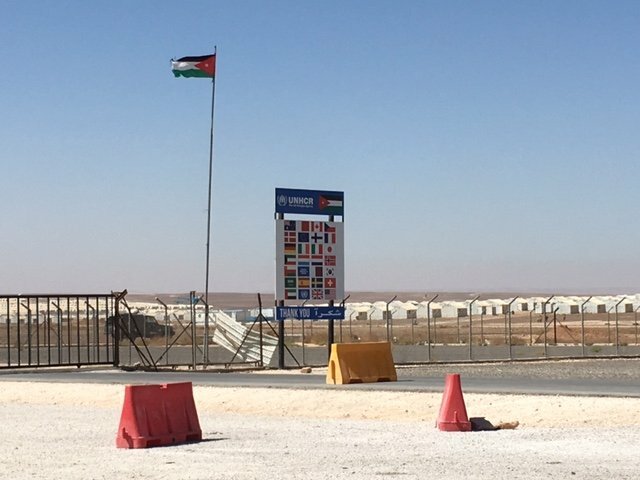 The border with Syria remains closed, so cheap goods cannot come in (relatively poor Jordan is periodically ranked as the most expensive country to live in the Arab world). The country is presently ‘hosting’ 670,000 Syrian refugees, although some are now determined to return home. 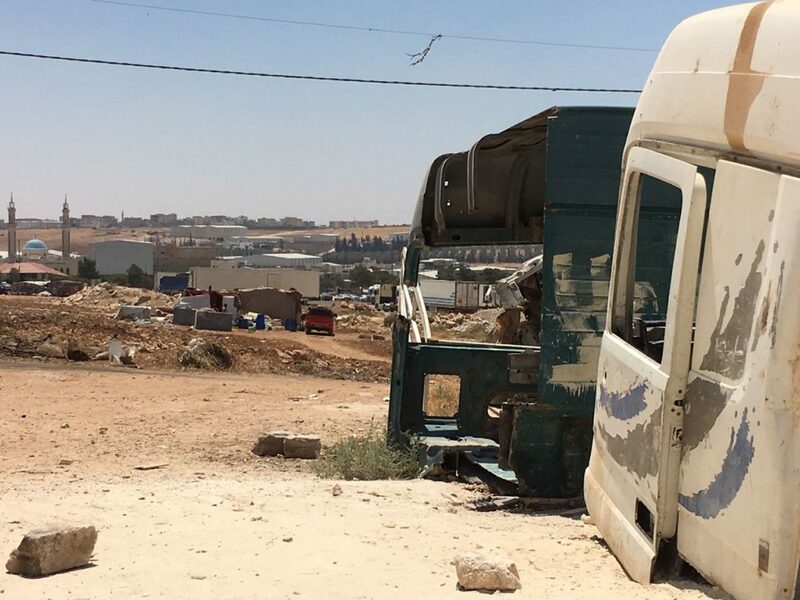 The refugees (many of them live in despicable conditions and face various types of discrimination) are yet another source of foreign funding for Jordan, but on the streets of Amman, people keep complaining that ‘Syrians take jobs from the local people’. That does not prevent Jordanians from importing cheap labor from poor countries like the Philippines and Kenya. No matter how stretched and impoverished, Jordanians are not ready to do ‘dirty jobs’. I spoke to a curator at the modest Jordan National Gallery of Fine Arts. There, a surreal and post-modernist installation called “Factory” was trying to shock by avant-garde forms and, it appeared to me, by very little substance. The National Gallery was desperately empty; people were most likely somewhere else, in cafes, malls or pubs. I asked the curator whether she was planning to show some artwork depicting the recent riots, or to get to the core of what triggered the recent wave of desperation. I asked whether there is at least one gallery in Amman, that is reacting to the events? “No,” she almost shouted at me. She was very angry. I was trying to understand, why? It never pays to be a Western colony, in the Arab world or anywhere else. Some individuals or a group of people may get filthy rich, but the rest of the population will struggle. It will become ‘irrelevant’. While neighboring Syria is winning its epic battle against the terrorists implanted there by the West and its allies, Jordan is living the sad reality of some Central American semi-colony of the United States. Here, almost all ideology had been neutralized. Not even dreams of pan-Arab socialist unity that had been shaping, for decades, both Syria and Iraq, could be traced here. Nobody in Jordan appears to be happy. Some complain, some don’t, but there are no concrete proposals on how to change the pro-Western regime. I ask aloud. My local friend does not reply. In Jordan, there are some questions that should never be asked. This article was originally published on New Eastern Outlook.